At some point every poker player wants to experience a Texas Hold’em tournament in Las Vegas. After all, that’s where most of the professional poker players are. For many poker enthusiasts it’s a once in a lifetime experience. A trip to Las Vegas may be extremely out of the way for many of you. If you’re planning a trip then you need to hit the felt at a tournament. It’ll be good experience and you’ll get to rub shoulders with some great players. Las Vegas has Texas Hold’em tournaments throughout the day. You’ll have no problems finding one to play in. The buy-ins will vary in amount. This means that everyone will be able to play in a tournament regardless of their bankroll. Expect to pay anywhere from ten dollars to well into the hundreds of dollars to play in a tournament. There’s certainly something for every budget out there. You’re not going to have to skip playing tournaments all together if you’re on a tight budget. Though, the tournaments with lower buy-ins can be more like a free for all. Don’t be surprised if people move all-in with junk hands. There’s really two reasons for this. The first being, the buy-in is so low they just don’t care. The second is, the blinds go up so quickly in some of these cheaper tournaments that it’s basically gambling. Generally the faster blinds go up, the more lose people play. If they don’t, the blinds will eventually eat away at their chip stack. Don’t show up at any poker room and ask what their tournament schedule is. There are several sites online that show what the upcoming tournaments are. Doing the proper research will ensure that you choose the right tournament. It’ll also help you get the most out of your Las Vegas experience. It’ll save time that you’d otherwise be spending zig zagging all over town searching for tournaments. There are tournaments every day of the week and sites with the information are easily found. Bookmark the sites before you go on vacation so they’re easily accessible when you’re in Las Vegas. Never gamble with money that you can’t lose. This should be a rule number one for anyone that loves to gamble. It has to be especially true for those of you on a vacation. Don’t enter a big tournament with all your spending money. You very well could end up on the other end of a bad beat and lose it all. Breakfast at the soup kitchen isn’t going to so great the next day if you’re broke. This is why you should set aside money before you go to Las Vegas for tournament play. 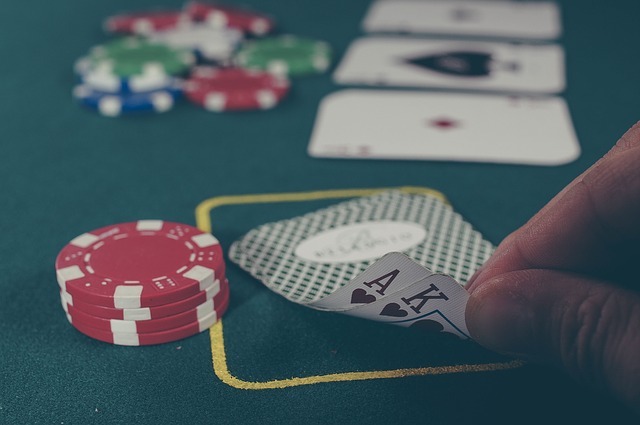 You may even consider choosing which tournaments to play in before your vacation begins This way you’ll be able to plan your other activities and also budget your poker fun better. The most important thing to remember when playing in Las Vegas poker tournaments is to have fun. Don’t go there thinking you’re going to win every single one. What you should be seeking instead is a good time. You’re on vacation and you should relax a little and enjoy yourself. Have a drink or two and don’t have a look on your face like someone that’s constipated while playing poker. It very well could be the first and only trip to Las Vegas that you ever make. You might as well have yourself a good time and let the chips fall where they may.